We cannot measure God with human metrics. Man’s knowledge obtained over centuries is a drop in the boundless sea of God’s knowledge. We are called to explore what we can about God—though hopelessly under-equipped to do so, because God can only be ever greater than our understanding. God is not bound in any way to His creation. He remains changeless. This builds our faith in Him: “Jesus Christ is the same yesterday and today and forever” (Heb. 13:8, NIV). One consequence of His immutability is that His love for us never changes, being founded upon Himself, not us. Nothing I can ever do will make Him love me more—or less. Everything we do is a service of gratitude to Him, not to earn merit. God’s immutable qualities mean that if something is true about Him, then everything opposite to that cannot be true. Consider this short list of His qualities and how they call into question commonly held beliefs. God is omniscient (all-knowing), which means that He cannot learn; to lack exhaustive knowledge of anything would be a vulnerability and dependency on others. Why then do we feel it our duty in prayer to inform Him of the facts? How might our prayer times be different, knowing that He knows all? God is interested in detail and, when He responds to particular details we pray for, He is glorified and our faith grows. We don’t need to inform Him of our needs for His sake, but for ours. He knows perfectly what’s up and what’s needed. Never being able to hide anything from Him encourages us to live transparently before Him. When as a team, things beyond our control go wrong and there is loss in ministry or even life, we can feel crushed but, accepting that God has never been surprised, lets us lay our burdens on Him. God is omnipresent (everywhere). As the Creator, He is above all things and yet there is no place ‘off limits’ to God. We should practice the presence of God more in daily life. We should not think that a formal worship time in a large group has more of His presence than a handful of people toiling unseen and away from the crowd. We decide the depth and intensity of our experience of His presence, because He can never be less than 100% of Himself. God is just and the source of all truth, so He cannot lie or deceive or twist His word. There is no such thing as ‘situational ethics’ or a need to compromise His principles. God cannot deny Himself, His nature or His will. Whatever He has said will remain true forever. “Let God be true, and every man a liar” (Rom.3: 4, NIV). When we fully grasp God’s eternal nature, we understand that every promise in His Word will come to pass. God is the ultimate planner and we need never be anxious about our future. Transform 2018 fielded several teams in Spain, Portugal and France. 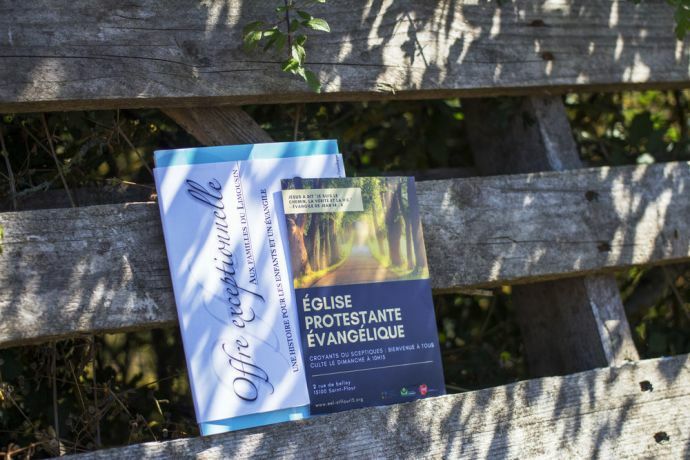 Every home in Saint-Flour, France received an invitation to an evangelical church in the historical city centre, along with a gospel of Luke. Other seeds were sown through conversations while walking the El Camino pilgrim route in Spain. “Do you think this walk can really change a person’s life?” asked one man. “I said ‘Yes!’ And that was the opening to share the gospel,” wrote a team member. In La Vera, Spain, a team member from Hong Kong shared the gospel with Chinese storekeepers. A local Christian who had spent several years in China, will follow up with those interested in learning more. One team in Lisbon did not obtain permission to hold a street meeting, so they simply had natural conversations with people on the street, some of whom were interested in knowing about Jesus. Many local Christians were grateful and impressed that young people from far away would come to share the gospel. For Pastor Yann in Bruay-la-Buissière, France, it was a busy week; “The OM team really blessed and encouraged us,” he said. Over 75 people came to a concert on the last weekend, which meant a packed full church, and people were touched by the lyrics of songs. 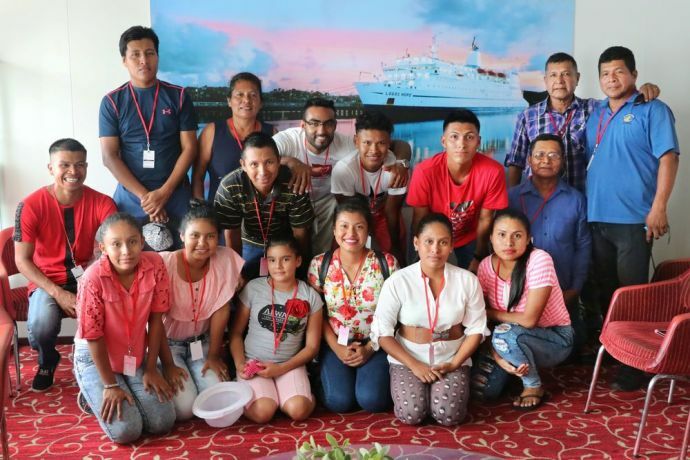 When the church put on a family carnival, all 11 church members worked hand-in-hand with the OM team, running the games, serving food and drinks and generally enabling the activities to go well. Approximately 40 children and their parents (more than 100 people in total) enjoyed a sunny afternoon in the church’s garden! It was a great day and a great way of introducing the church to many people in the community. Please pray for lasting fruit and consider joining the next Transform (in Greece, July 2019). Tiny spirit houses spin in the wind in front of homes and offices. Fresh food and abundant tea are provided daily as offerings to ensure protection and luck. Temple spires peak amidst urban skylines and rural rice paddies alike. Evidence of Buddhism infiltrates nearly every aspect of Cambodian society, but for many people, religion is less about rituals and more about superstition and following tradition, said Sokhem*, a teacher at OM Mercy Teams International (MTI). Sokhem grew up in a remote province, steeped in Buddhist tradition. After he married, his wife encouraged him to pursue higher education. In order to afford tuition, Sokhem worked at a restaurant run by a Christian woman and attended a weekly Bible study there. “The boss encouraged us to study, to learn, to get to know Jesus, so step by step, I felt in touch with God.” Sokhem read Proverbs, “which has a lot of advice on how to live,” he noted. One day, the pastor who taught the study approached him: “Sokhem, if you want to trust Christ, tell me.” “The answer was already yes,” Sokhem recalled. After obtaining a university degree, Sokhem spent two years working at an acclaimed international school. “But I wanted to be with kids who were broken, who were orphaned, who were poor, who didn’t have proper education,” he said. Since joining OM MTI, Sokhem participates in a daily Bible study where the staff read Scripture and discuss its meaning. better serve their own people. Rana* a 35-year-old woman shared her story with OM workers recently at the AIDSLink International* care centre. Ten years earlier, she had a beautiful life that came crashing down when her husband suddenly became sick. Test results showed that both Rana and her husband were HIV positive. They were shocked and full of fear. “What shall we do?” they thought. Rana’s husband’s health continued to fail, and he later died. Without a husband and having no children, Rana was alone. Rana was not able to stay in the home of her husband anymore, so she returned to live with her parents and brother, though she kept her HIV status a secret from them. 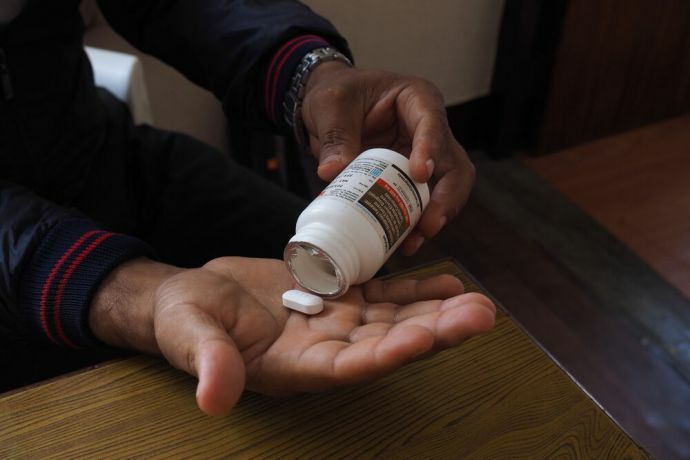 After nine years, Rana, too, became very sick and though she already knew, the doctor now confirmed to her family that she was HIV positive and sent her to Kathmandu for testing and treatment. It was there that Rana met the staff of AIDSLink, who were friendly, helpful and understood her situation. They counselled and encouraged her, and helped her with her antiretroviral therapy. AIDSLink also provided her with a place to stay during her time of testing and initial treatment. Through the work of AIDSLink staff, Rana got the opportunity to understand more about her condition, and she was able to see the hope and joy in the lives of the staff through the way they served. For such a long time Rana felt hopeless and sad, but now, for the first time in 10 years, she had hope and joy. Today, Rana feels well and thinks the future looks much brighter for her thanks to the work of AIDSLink. *AIDSLink International works in partnership with OM to impact the worldwide HIV and AIDS pandemic. 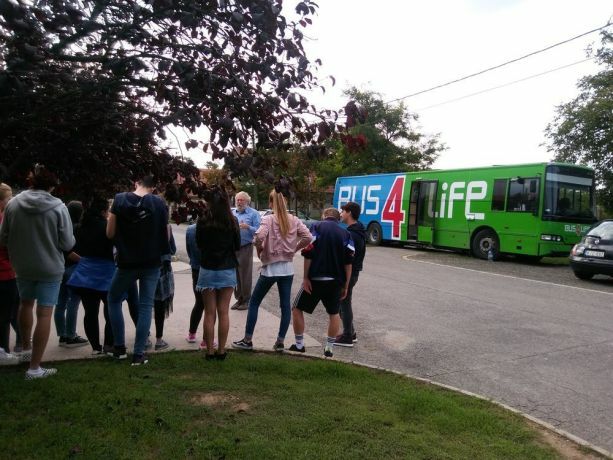 In early 2017, OM’s Bus4Life ministry cancelled a weeklong outreach and offered the bus to a Hungarian pro-life organisation, Shout for Life. During that first week, Bus4Life visited ten schools in six towns around Budapest. 1,500 students climbed on board the bus and were introduced to foetal development and pregnancy through a specially designed exhibition. Since then, OM has done three other outreaches with Shout for Life. Altogether, more than 5,000 young students have been challenged to consider the value of the unborn. Some schools have allowed the gospel to be shared, too. The latest outreach took place in September, 2018 when Bus4Life visited several schools in the greater Budapest area. Students were invited to the bus in groups of 15-20. They looked at the exhibition, and watched three short videos about dating, pregnancy and abortion. Abortions performed in Hungary have decreased dramatically in recent years, partly due to a shift in government policies that seek to strengthen families and encourage couples to have children. But credit must be given to Christian organisations, too, particularly in their efforts to inform and educate the Hungarian youth about abortion. Thank you for your prayers and support of all OM ministries worldwide. OM's International Director, Lawrence Tong, highlights important issues, developments in ministry and concerns for prayer and response worldwide. This monthly report is issued digitally.